The Keizer Chamber of Commerce is hoping for a big turnout at it’s first-ever Community Conversation on Wednesday, Feb. 28. The Chamber is inviting all Keizer residents and business owners to join in the talks that will help to create a vision for the future of River Road North. For Jonathan Thompson, chair of the Chamber’s Government Affairs Committee, that means showing up even if you don’t plan on saying anything. “You might not have a specific idea you want to talk about, but somebody else might say something that triggers a response or your own idea for what we should do. We want to hear all of that as we decide what to do going forward,” Thompson said. The talks begin at 6 p.m. at the Keizer Civic Center. The idea for this particular conversation sprouted from the city’s attempt to enact a 1 percent fee on new construction and redeveloped areas to be used for the creation of public amenities and/or public art. They received a nuanced discussion at the Planning Commission, which approved the idea and forwarded it to the Keizer City Council, but the council balked after lengthy testimony from members of the Keizer Chamber and other parties. Aside from discontent over adding fees, some councilors took issue with the lack of specificity in what the fee would be used for. Thompson said the fee proposal “snuck up” on members of the Keizer Chamber, but that members have made more concerted efforts in the intervening months to keep up with changes and open lines of communication. The Community Conversation will include information from the city on what has been done in the past, but there will be an emphasis on “open mic” time for attendees to offer ideas. Thomspon said that even within the Chamber there is a wide range of ideas regarding what to do about River Road. 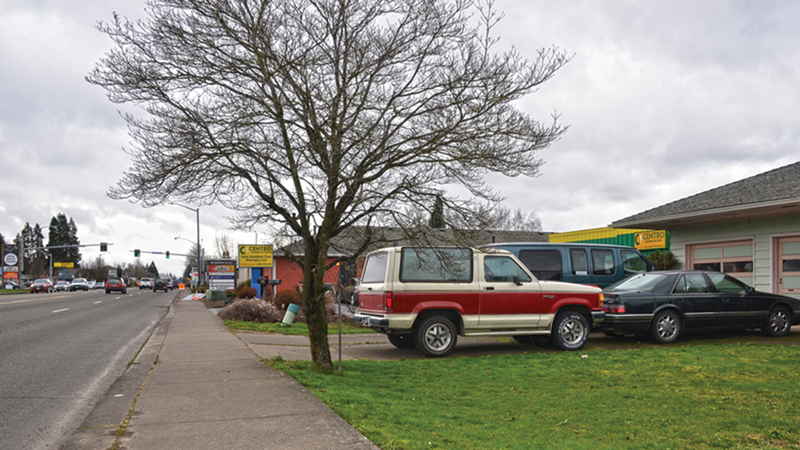 As recently as a decade ago, Keizer doled out matching grants for businesses along River Road to make such improvements using funds from a now-defunct urban renewal district. Urban renewal districts are special taxing districts funded by incremental taxes. When a district is established property values within the boundary are frozen by the county assessor when the district starts. As property values increase, the difference between the frozen value and the new value goes to the district rather than the city or county. The prior Keizer urban renewal district, which was used to fund dramatic improvements along Cherry Avenue Northeast and put utility infrastructure underground along River Road North, fell victim to the Great Recession and later was used to bail out a developer at Keizer Station who defaulted on city-backed loans. Thompson said the idea of a new Urban Renewal District was not out of the question in regard to a new River Road vision, but that it was important to have a vision in place before figuring out how to fund it. “We’re pretty early in this process, but the relationship between the city and chamber is strengthening already. After the Community Conversation, we want to partner with city staff and figure out exactly what we hope to do and how to do it,” Thompson said.